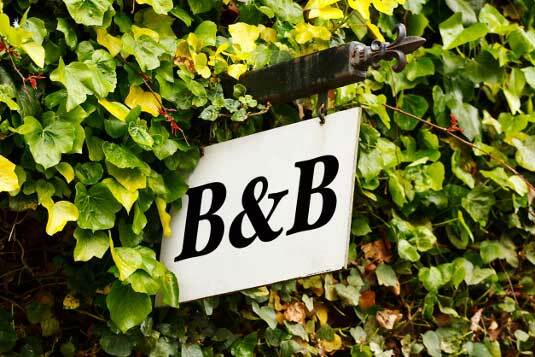 Looking for a B & B? Sign up for our once-monthly newsletter for updates, Michigan Bed & Breakfast news and the latest B & B properties! Owning a Bed & Breakfast is dream for many people. And Michigan is the ideal place for one. Popular weekend travel destination just a few hours from big cities, the beautiful lakes, serene woodlands and lots of neat things to do around the state. Looking for a bed and breakfast inn to purchase and have natural talent for making guests feel comfortable? Having the social skills to be an innkeeper is truly an art. Here is your opportunity. We get it. You own a unique Michigan B & B property and want to sell, but you know it’s going to take more than a sign in the yard and an MLS listing to sell it. Here’s good news: You or your real estate agent can promote your Michigan bed and breakfast property for sale on our top performing website, which is designed specifically for buyers looking for what you have to sell. 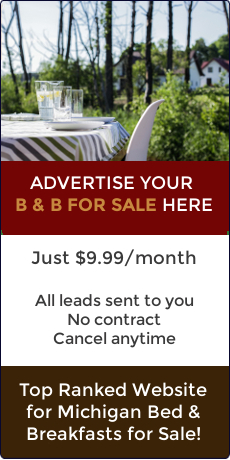 MichiganBedAndBreakfastForSale.com is a top performing website for search terms like “B & B’s for sale in Michigan” and “buy Michigan bed and breakfast”. This makes it easy to promote your property to buyers who are looking for exactly what you have – a B & B property for sale in the state of Michigan. And at a cost of only $9.99 per month, it’s an affordable way to get great exposure for your property. The Lifestyle Property Network is a unique, integrated suite of websites, and the only comprehensive resource of its kind for people interested in buying or selling lifestyle properties in Michigan, including historic homes, waterfront properties, Great Lakes real estate, premier properties, country homes, land, horse properties, log homes, golf properties, ski properties, and bed & breakfasts. No doubt you’ve discovered, and maybe been frustrated by the fact, that the traditional real estate world categorizes real estate by city, town, county and zip code. On the Lifestyle Property Network, each of our sites is dedicated to a specific property type, allowing buyers and sellers to find exactly what they’re looking for.